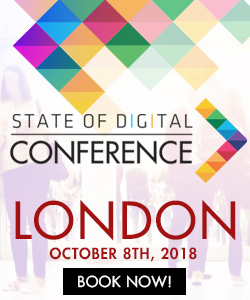 Those that read my blog posts on State of Digital will have noticed that over the past few months I have focused my efforts on reviewing some of the many, many tools available online. Whether it’s for conversion rate optimisation, competitive intelligence, lead generation or more developed SEO suites, tools are essential for many of us and help us to work more productively, and assist us all in our digital marketing efforts. It’s not irregular to see many of our peers sacrificing some of our budget to know that some areas (in terms of monitoring and tracking) are ‘taken care of’. Integrating with Google Analytics pulls through traffic and visit stats and lets you see your monthly visits and daily trends against your Positionly keywords. Importing your keywords is made easy too, either adding them on an individual basis or via CSV-based import for bulk operations. 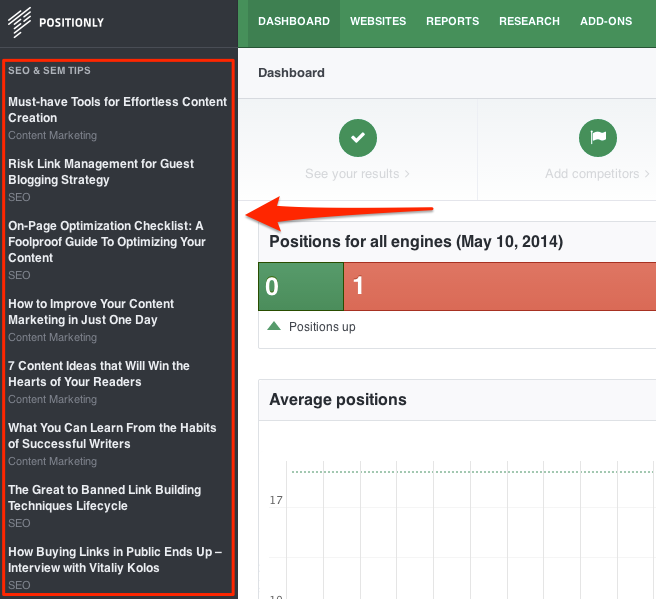 Positionly either lets you input your own, or advises you on possible competitors to track your website rankings against. 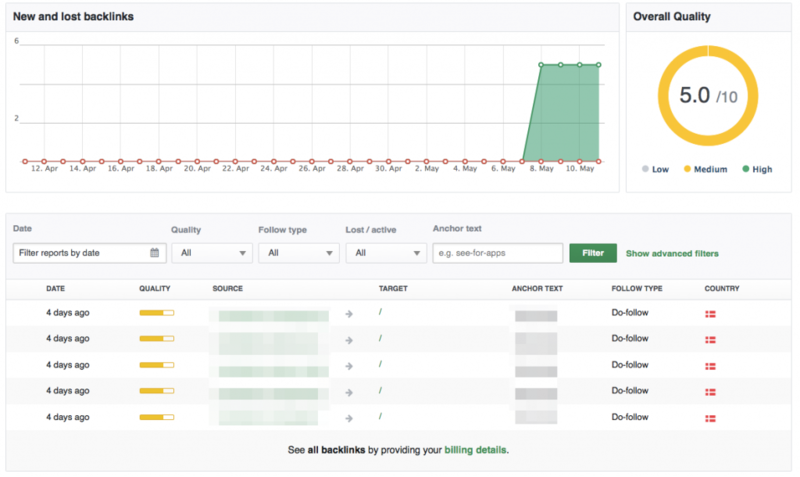 Positionly will then analyse each keyword and group performance on a competitor graph. Dependent on your subscription plan, you can group, test and compare keywords very easily in Positionly. Similar to Google Analytics, Positionly also offers an annotation feature, through which you can view (on hover over) what changes were made at what date, meaning that you can keep up-to-date on all projects no matter what size or distribution of your team. 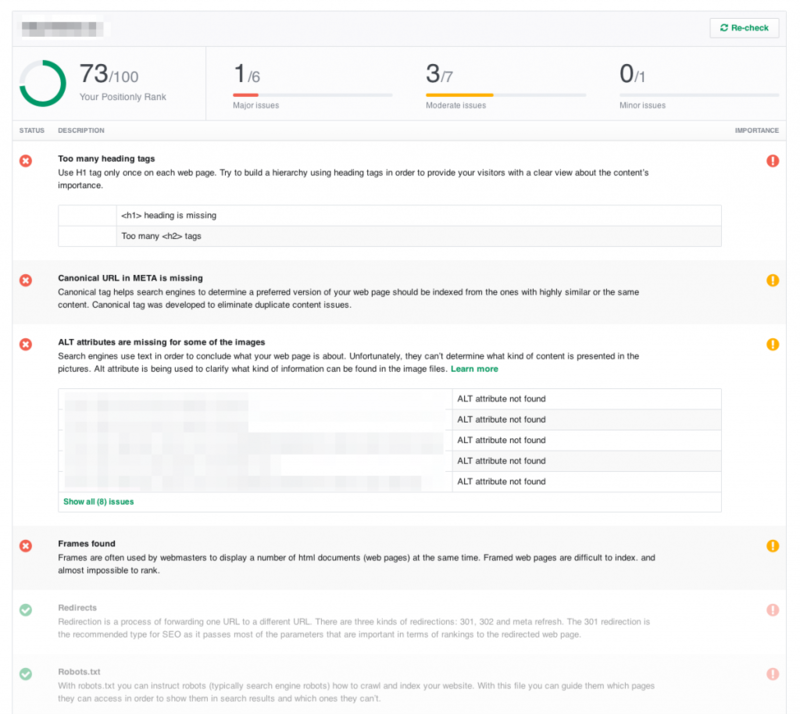 This feature is somewhat reminiscent of Ahrefs and while it is great in terms of monitoring any progress in link development, it certainly doesn’t provide the level of detail that a tool like MajesticSEO does. 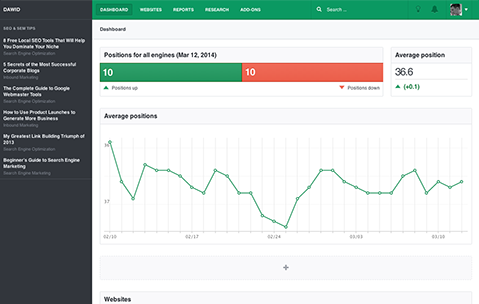 In addition to keyword rank tracking and backlink analysis Positionly also offers the a useful ‘site review’ feature that provides advice on technical changes that you can make to a site, providing a optimisation score (out of 100) and listing the changes according to importance. In combination with its sleek and well-designed interface, Positionly extends this to its reporting, where you can completely white-label the exports (should you wish), select from the templates available (see below) or create your own. Positionly also offer a well documented API, should you wish to utilise the data in a more robust or flexible way. Presumably in a move to separate themselves from some competitors, Positionly is offering membership perks, giving discounts for a number of services, including: Treehouse, PayLane and Mention (listed as coming soon at the time of reviewing), these perks are reminiscent of the somewhat more developed Moz perks. This is one indication that shows that Positionly are clearly focused on winning users of the system for the long term. Aimed at keeping you inspired but also aware of the great features that Positionly offers. Price plans vary from as little as $5 a month and stretch to $99 per month, or higher if you wish to negotiate a custom plan, dependent on your requirements. Oftentimes digital marketing tools fall victim of trying to do too much and over-complicating their platform. Because of this, I’ve noticed that sometimes the simpler the tool the better. Positionly sits firmly in this camp. Keyword ranking and backlink analysis tools are readily available and, without getting into a discussion with regard to their importance or accuracy, many still utilise them as part of their SEO reporting process. There’s no doubt that the benefits of Positionly are somewhat similar to others out there. However, deliverance is key. 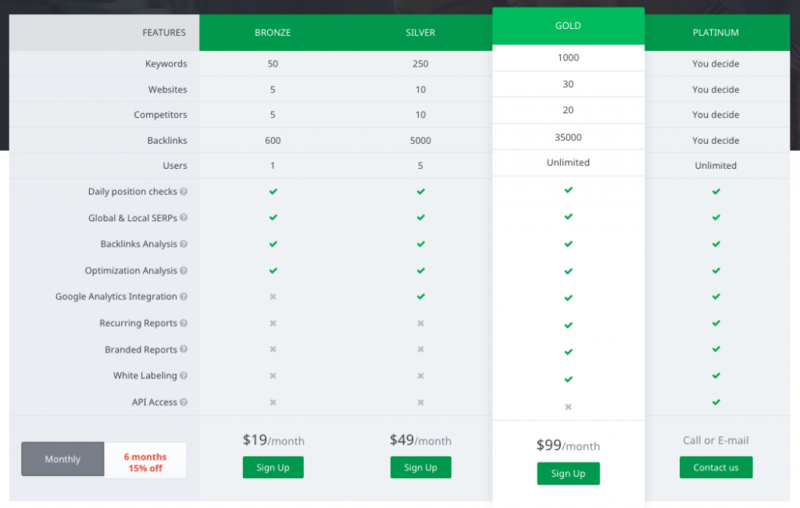 Positionly’s good-looking and easy to use dashboard, well maintained blog and membership perks certainly go some way to separating them from their competitors. The variety of price plans available offer an competitively affordable proposition for many. They offer a 14 day free trial, for those that may be questioning their current SEO tool setup, and I’d strongly recommend giving it a whirl. It’s definitely up there as one of the better tools that I’ve seen (and reviewed) available on the market today. Have you used Positionly before? Would you consider giving Positionly a go? 1) is $99 package the equivalent to the Moz Pro package? 2) Assuming you use or have used Moz, where do you think Positionly is better than Moz and vice versa? Like the look of the multiple search engines and territories feature. We are using Positionly, mostly as a ranking tool for our clients at Orangedotcom. I wouldn’t say the $99 package is the equivalent to the Moz Pro package, but we are very happy with it. I think tools like Raven or Moz are more suitable for SEO specialists and people at agencies, but the Positionly whitelabel is perfect to share with clients. It’s simple and the interface is very nice. 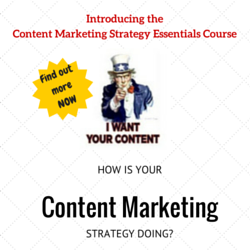 Most clients are still very focused on rankings, and this tool is great for that. *edit* sorry for the large picture, I can’t seem to delete it. Hey Ned, great writeup. I was wondering, is the link tracking done automatically or do you have to manually input newly acquired links? Hi Matt, if you’re referring to the Backlink tracking, this is done automatically. Positionly is unfortunately still in its infancy and lacks robustness and quality support of Moz and other established services. If you are on a tight budget you can consider Positionly, but if you can afford slightly more – step up.